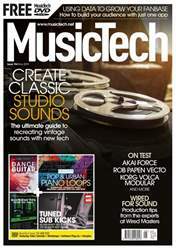 Get your FREE Sample issue of MusicTech today! (3 Customer Reviews) | Write Review 12 issues per year MusicTech is the world's leading magazine at the intersection of music and technology. Every issue comes packed with in-depth features on music recording and production, including interviews with visionaries, gear reviews, buyer's guides, and easy-to-follow tutorials — all written by our team of industry experts and musicians. Looking for MusicTech in print? Unfortunately pocketmags.com does not sell print copies of MusicTech, but all is not lost. Our partner at magazine.co.uk sells print subscriptions at the best prices online. Aside from the art of writing a melody, crafting the perfect lyric and finding the most suitable chords for your music, beatmaking (or sculpting the rhythmic elements of your track) is perhaps the most important stage to get right, particularly if you work in the EDM arena. It’s often, however, something that can start to feel quite ‘samey’ and characterless for some, as those musical elements tend to take priority. In our cover feature this month, Martin Delaney explores a variety of routes to making your own distinctive beats in unique ways. Follow his do-it-yourself guide and before long, your tracks will have extra oomph and rise above the din to sound unlike anybody else. Also this issue, we speak to the fascinating Cleaning Women, a Finnish band who adopt a similar DIY approach to beat and music-making. They have built their own instruments out of former household appliances and have performed with them for over 20 years. Elsewhere, we catch up with Alexander Archer, a young producer who is currently working with some of the industry's hottest names as he engineers recordings for Vevo UK. On the review front this month, we dive deep into Native Instruments’ veritable ocean of delights, Komplete 12, as well as Ableton's latest hefty point update to Live. 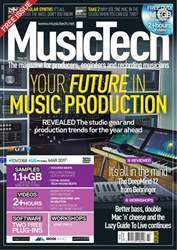 MusicTech is the world's leading magazine at the intersection of music and technology. Every issue comes packed with in-depth features on music recording and production, including interviews with visionaries, gear reviews, buyer's guides, and easy-to-follow tutorials — all written by our team of industry experts and musicians. 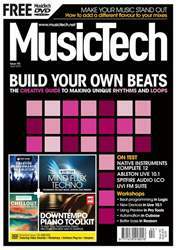 You'll receive 12 issues during a 1 year MusicTech magazine subscription. This is a great way to read the mag and the new easy-to-read mobile version makes it even easier to read the content on your phone when out and about. Very good, but needs to be a mobile edition, bigger text and what not. Also it would benefit from hardware controlls. But all in all very good and affordable. 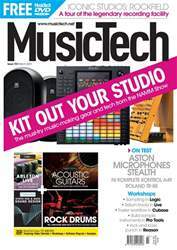 Below is a selection of articles in MusicTech Apr 2019. You'll receive 12 issues during a 1 year MusicTech magazine print subscription.